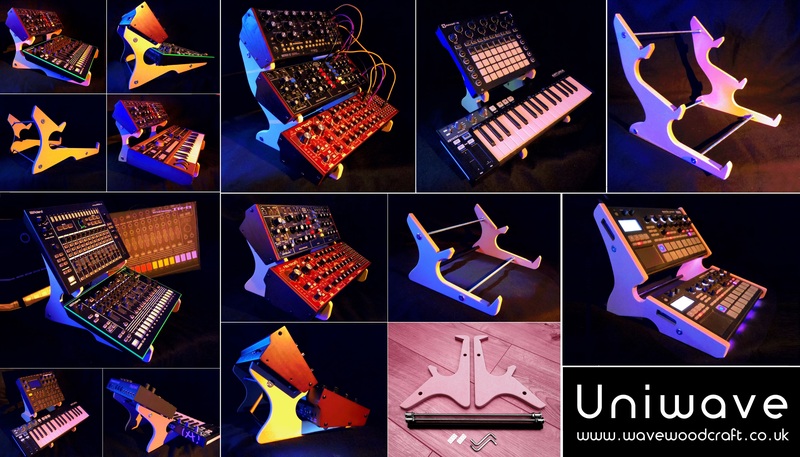 Uniwave MDF synth stands for various desktop synths and small keyboards. £38.00 - £59.99 Come with allen keys, adhesive rubber feet. Now have the Elektron Dual stand with vents available. (Also still have a ventless one too). Comes with 8 extended bolts and rubber feet. 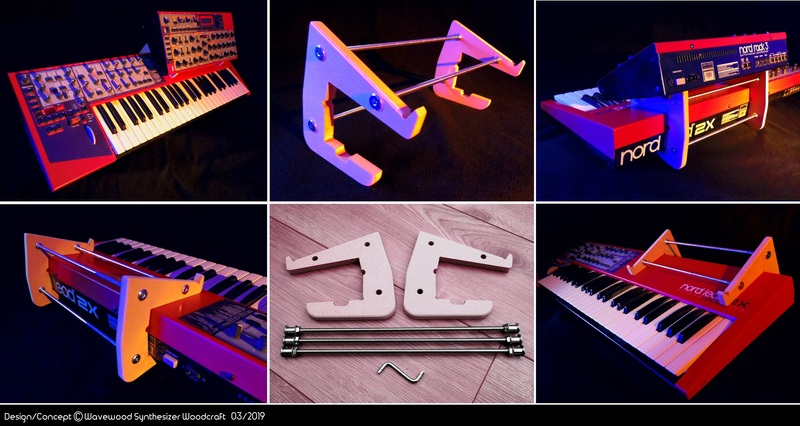 Have these new Nord Lead 2X piggy back stands which can hold a variety of desktop synths.